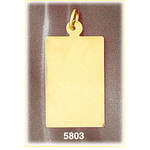 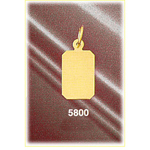 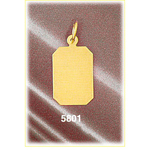 This 14k gold personalized dog tag custom engravable charm features a classic dog tag style accentuated by a subtle design element that make this engravable charm a must have for any gold jewelry collection. 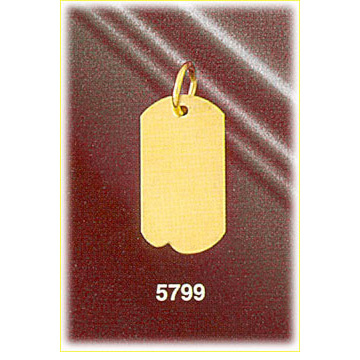 We can custom laser engrave your dog tag charm with your choice of lettering for a remarkable accent against a brilliant high polish finish. You may also choose to have your personalized dog tag charm embellished with an eye-catching birthstone setting. 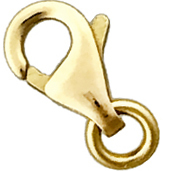 Charm is crafted in 14k yellow gold featuring a polished finish with flat back, it measures approximately (11mm - 3/8") in width by (20mm - 3/4") in height and weighs 1.8 grams, it is a good size for charm bracelet or on a necklace.